With yet another Fed rate hike having taken place recently, and with Jerome Powell signaling aggressive rate hikes going forward, analysts and investors are wondering if, and when, the American economy is going to start feeling the pain. People are simply looking for the truth: when will the tightening of fiscal policy start to take its toll on the economy and the markets? To get the hard-hitting truths that you just won’t hear about in the mainstream media, Crush the Street turned to James Corbett, the writer, editor, producer, and host of The Corbett Report, located on the web at CorbettReport.com. The Corbett Report is an independent, listener-supported alternative news source that operates on the principle of open-source intelligence and provides podcasts, interviews, articles, and videos. 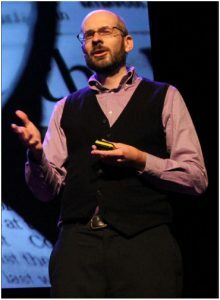 Having lived and worked in Japan since 2004, James Corbett started the Corbett Report website in 2007 as an outlet for independent critical analysis of politics, society, history, and economics. Topics covered include 9/11 truth and false-flag terror, the Big Brother police state, eugenics, geopolitics, central banking fraud, and more. 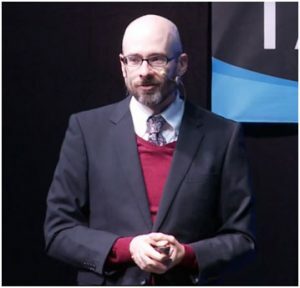 Since creating The Corbett Report, James has written, recorded and edited thousands of hours of audio and video media for the website, including a podcast and several regular online video series. Additionally, James Corbett is the lead editorial writer for The International Forecaster, an e-newsletter created by the late Bob Chapman. No stranger to controversy, James Corbett’s work has been carried online by a wide variety of websites and his videos have garnered over 50,000,000 views on YouTube alone. His satirical piece on the discrepancies in the official account of September 11th, “9/11: A Conspiracy Theory,” was posted to the web on September 11, 2011 and has so far been viewed nearly 3 million times. Crush the Street asked James about the Fed’s rate hikes and the economic pain that may come as a result. In response to this, Mr. Corbett questioned the assumption that the economic shock waves will, in fact take place. The real question, according to James Corbett, is whether we actually will feel the pain, since we’re living in an economic fantasy land where bad news is good news. So, every time there’s some potentially economically cataclysmic news, the markets celebrate and reach new record highs. According to James Corbett, the breaking point was, in fact, reached a decade ago during the financial crisis and its devastating results. This devastating event in economic history was met with trillions of dollars in financial bailouts for Wall Street and big banking institutions. Thus, any idea of moral agency in the economic sphere has been fundamentally removed. Now, investors are assured that any horrible event that happens in the economy will be met with free helicopter money from the Fed raining down into the markets, according to James Corbett. And since bad news is now considered good news, rate hikes are not having their usual or expected effect anymore. Stunningly, 93% of the rise from 2008 to 2016 is directly attributable to the money that the Federal Reserve pumped into the system via quantitative easing and other programs, according to James Corbett. Now, they’re hoping that there will be no toxic effects as the Fed attempts to clean up the mess with rate hikes. As for James Corbett, he’s not buying it: at some point, economic reality will intrude back upon this illusion that the central banks have created. For the time being, however, it’s “party like it’s 1999” – and we all know what happened soon after that fateful year in the markets. Mr. Corbett had lots more to say about the economy and the lies we’re being fed by the powers that be, so don’t miss a second of this incendiary interview. We also highly recommend The Corbett Report, located at CorbettReport.com, as well as The International Forecaster as essential alternatives to mainstream media sources of information and commentary. James is freakishly good at meeting people up at the rim of the rabbit hole & bringing them in a little bit deeper. I’d like to see an episode on “The Politics of Toys”, in light of the new Mattel/U.N. collaboration and the Roll20 debacle and the “Fantastic Matt” assault & the Magic the Gathering PedoGate with WotC hiring convicted, prison serving pedo’s as Judges for pre-teen sessions. I can peruse the internet but I don’t have the power (or programs) to collate the information. So, I’m stuck being just a commentor, but unable really to get the message out that our toys of the future are incrementally destroying intelligence & shoving wisdom out the window. Oh! One of my favs! James has, I believe, stated that he doesn’t use any special program to organize his knowledge. The man is simply a very well functioning brain on legs (coupled with a pleasant voice 😉 ). In short this is a slick combination of a relational database with a mind-mapping software and real-time visualization. The end result is “one of a kind” and my personal killer-app (after the web browser) for PC usage. It sadly only supports Windows and MacOS as they dropped Linux support thanks to low sales but for most people this shouldn’t be a problem. Pleasant authoritative voice. And a male one to boot! Great interviewer who had the decorum and curiosity not to interrupt you, Mr Corbett, after his “what to invest in?” query! He could’ve seriously wondered if you’d misunderstood the question or where you were going with that elaborate explanation. So I guess, dominant digitalia has brought us into the “Good news is Bad news” era where mathematical reality has little to do with the official narrative and history is rewritten to facilitate tectonic drifts and technocratic shifts in the trans-Human Being and his Environment. I just love it when they say “I’m for Trump” they are lovely at that age. Even non-ionizing radiation can have side-effects. I have a university degree in electromagnetism. I understand radiation and it is clear that these “scientists” are using fake science to downplay the effects of radiation. Now it becomes clear that the fake science has origin in the military, and is used to do attacks in secret. The fake science has been going on so long that I don’t think that many military actually know what is going on. They just follow the old protocol. Most scientists and engineers also believe that non-ionizing radiation is harmless. A lot of research is on http://www.microwavenews.com check it. It also contains many peer-reviewed articles. who show that the radiation is causing all kinds of new diseases. The fake science is that a body, full with nerves and other electric sensitive components is modelled as a barrel of water. Only the heating of the water in the barrel is seen as damaging. This stupid fake-science model has been used for a long time now. If you want to know how low frequency radiation can have ionizing effects, just look at spark-gap antennas. They are the first antennas ever invented! The change in the magnetic field causes an electric field in the loop. This causes a spark. The body is full with loops, just made of different conductors. The biological body is also very reactive to certain frequencies. The whole brain full with it, but also many cell-components work on certain frequencies. Even the DNA is conductive. You may make someone crazy with one frequency, or keep someone awake with other frequencies affecting the core of the brain. Or you may attack cells directly causing cancer. These frequencies can be very personal, and depend on how your body is exactly constructed. That is why the CIA probably does mass experiments, so it can check how it affects different parts of the population. The experiments by these psychopaths never stopped. Oh yes, cell phone radiation and wifi are addictive. People also lose their concentration, and get attached to it. That is why people lose their minds when the wifi is out. Not just because they want to check facebook. the body, are seeing huge progress. I can discuss this on scientific level if you like to. Sadly most other scientists can not. I’m not certain that “wireless is out” thing is correct as you put it. Usually what gets cut out is internet access while wireless as is remains turned on. Granted, when the thing works maybe it has different effect on its immediate users. From my experience, people tend to lose their minds when they lose internet access, even those who’d consider me a “geek” have s tendancy to crumble to the floor in a tremoluous fashion, aking to a post drug drug addict, something I find really enjoyable. Some people who are impervious to the internet react the same and worse to electricity being cut out, which is obviously even worse than just losing the internet. I have tremendous admiration for Prof Christopher Exley, because industry and the system has suppressed his research but he keeps on going. Prof Christopher Exley describes how Industry and the System pervert true scientific research. – The trend is disappointing for truth. The information addiction and social addiction is real too. a part of our human instinct. with the urge to buy the newest models of mobile phones. Phones that still do exactly the same thing. And in my experience there also addition to electromagnetic waves. It makes people numb and stressed at the same time. The increase in stress was measured in some official experiments. This stress and numbness might lead to addiction, like cocaine. or cellphone-radiation, other people seem to crave it. come to think of it I think my Mom made it impossible for me to become addicted to social confirmation… (albeit unintentionally). gotta run back into class now! lots of interesting comments coming from you zyxzevnate! keep’em comin’!! eeeeeeeeeeekkk!!!!! I’m laaaaaate!!!! Having spent some time in China I found a lot of their infrastructure to be of questionable quality. Roads, buildings are taken to 70-80 percent complete and constructions stops. Finishing touches are ignored and in a number of cases structural shortcuts are not uncommon. 10 year old manufacturing facilities look like 50 year old derelict buildings. Maintenance of these facilities is rarely seen, they are just left to crumble. Of course there are good quality facilities being built such as their rail/subway systems but most of these have been overseen by western corporations in partnership with Chinese companies. There are a couple of good home grown Chinese construction companies but most of them are pretty shady. So, yes they are spending huge sums of money on infrastructure but in a lot of cases that infrastructure will most likely be bulldozed in 15-20 years because it’s unfit for purpose or just plain dangerous. How long can they continue to spend money in this way only to see it crumble to dust? I enjoy Corbett interviewing a wide range of guests and also the reverse, where he is interviewed by a wide range of folks. A couple of decades or so ago nike & other large manufacturers moved offshore to China in order to have cheaper labour producing goods for the American market. American consumers & then consumers the world over loved it as prices of “stuff” fell. “Where would be with out China” when we look at all the products in our homes & lives. Now that consumerism has been well & truly entrenched in the cattle’s mindset surely with sanctions on Chinese produced goods the American consumer is going to be the one that starts paying more for “stuff” they are used to paying peanuts, sorry dollars, for? Supposedly manufacturing is to return to the America as taxes will be dropped or lowered on corporations/companies returning home. Can items be produced as cheaply as they have been in China? Consider that now long term hardworking but paperless immigrants are also being “sanctioned” & rapidly kicked out of America, they are/were a large part of the work force. People willing to do menial jobs in order to “get somewhere”. It will be the consumer who will pay in this contest of sanctions. Have those dollars saved on manufacturing in China been passed on to the consumer? For instance, a pair of trainers which cost maybe s dollar to produce work up their price to a hundred and more easily. I read somewhere that Apple cut 5 bucks on cost per unit of their phones when moving out their production to China, but was that ammount passed on to the consumer? Sorry – too much thinking. No really. Yes, the situation is complicated, but it is also very manipulated. A better understanding comes from whom is manipulating whom. Benjamin Fulford has a lot of interesting thoughts on the matter and some interesting sources. I personally do not have the connections or resources to check things out, but my hunch is that the “trade war” is brinkmanship, that there is neither the real threat of economic warfare nor warfare in fact. For some reason, this ruse is being used with (as usual) the American people as its audience. Since psyops appear to be the order of the era, then this is likely just another. Fulford believes the dollar is going to be replaced as the worldwide medium of currency. He also points to the current item we call “the dollar” as being a label disguising the international point system that is based principally on oil trading. Indeed, I do wish I had the time and resources to follow this hunch. Maybe you can?